I am writing to you to request your support for the release of the award-winning Emirati human rights defender Ahmed Mansoor, sentenced this week to ten years in prison for his human rights activism. I believe that this will be facilitated by raising awareness of his case by naming a street after him in Manchester. 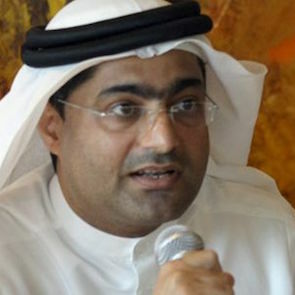 Ahmed Mansoor is a pro-democracy and human rights campaigner who has publicly expressed criticism of serious human rights violations in the United Arab Emirates (UAE). Mansoor is the 2015 Laureate of the Martin Ennals Award for Human Rights Defenders, and a member of the Gulf Centre for Human Rights (GCHR) Advisory Board and Human Rights Watch’s Middle East Advisory Committee. Amnesty International considers him to be a prisoner of conscience, imprisoned solely for exercising his right to freedom of expression, who should be immediately and unconditionally released. There are concerns that Mansoor has been tortured in pre-trial detention that lasted more than one year. Human rights groups are banned in the UAE and people in the UAE who speak out about human rights abuses are at serious risk of arbitrary detention, imprisonment, and torture and other ill-treatment. Many such people are serving long prison terms or have felt they have no choice but to leave the country. Before his arrest, Mansoor was the last remaining human rights defender in the UAE who had been in a position to criticise the authorities’ human rights record publicly. As you are aware, Manchester City Council has developed close commercial links with senior figures in the UAE government, via its stake in the Manchester Life Development Company (MLDC), a joint venture ultimately controlled by the Abu Dhabi United Group for Investment and Development (ADUG). ADUG is owned and controlled by the Abu Dhabi Executive Affairs Authority, whose chair is Mohamed bin Zayed Al-Nahyan, the de facto ruler of the UAE. In addition, Manchester City FC is owned by the deputy Prime Minister of the UAE, Sheikh Mansour bin Zayed Al Nahyan. While Abu Dhabi’s investments may have brought financial benefits to Manchester, this should not preclude criticism of human rights violations in UAE - violations which are starkly at odds with the values and principles that Greater Manchester celebrates as part of its heritage. In recent years, Senior members of Manchester City Council have celebrated Manchester’s long history of standing up for a range of rights-related causes, including the anti-slavery movement, votes for women, and pro-democracy demonstrations in Manchester in 1819. But they have apparently shied away from criticising human rights violations by the UAE and Abu Dhabi authorities with whom their commercial partners are linked. As the first directly-elected Mayor of Greater Manchester you are in a unique position to show leadership on this issue. In your manifesto for the Mayoralty you referred to Greater Manchester as “the home of radical forward thinking” and expressed your desire to make it “a beacon of social justice for the country.” Your public support for a street named after Ahmed Mansoor, and calling for his immediate and unconditional release, would demonstrate your commitment to this heritage and these ideals.